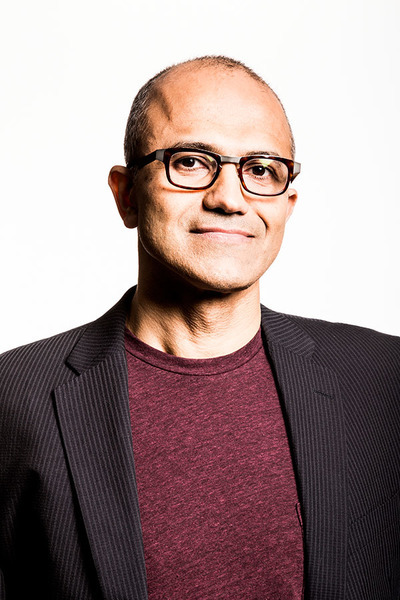 Redmond, Wash., USA - February 4, 2014 - Microsoft Corp. today announced that its Board of Directors has appointed Satya Nadella as Chief Executive Officer and member of the Board of Directors effective immediately. 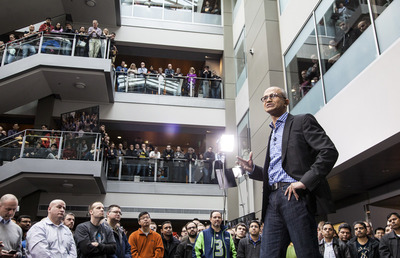 Nadella previously held the position of Executive Vice President of Microsoft's Cloud and Enterprise group. 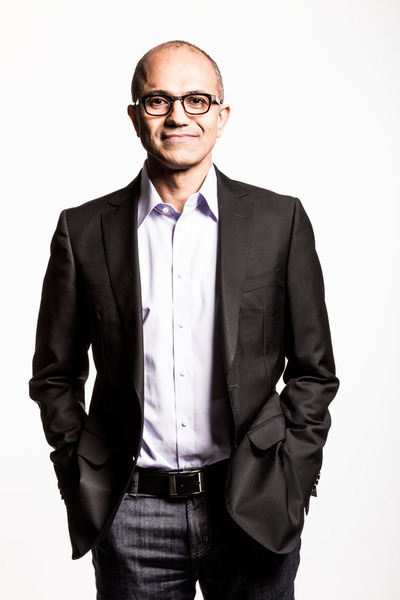 Since joining the company in 1992, Nadella has spearheaded major strategy and technical shifts across the company's portfolio of products and services, most notably the company's move to the cloud and the development of one of the largest cloud infrastructures in the world supporting Bing, Xbox, Office and other services. 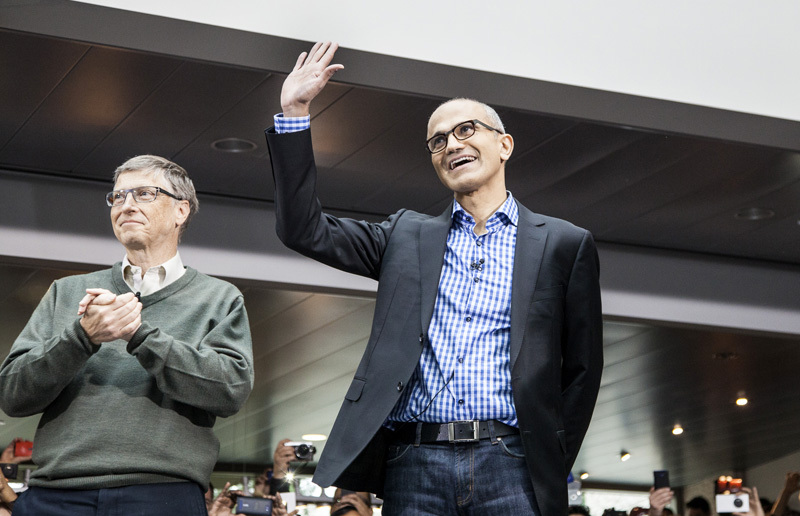 Microsoft also announced that Bill Gates, previously Chairman of the Board of Directors, will assume a new role on the Board as Founder and Technology Advisor, and will devote more time to the company, supporting Nadella in shaping technology and product direction. 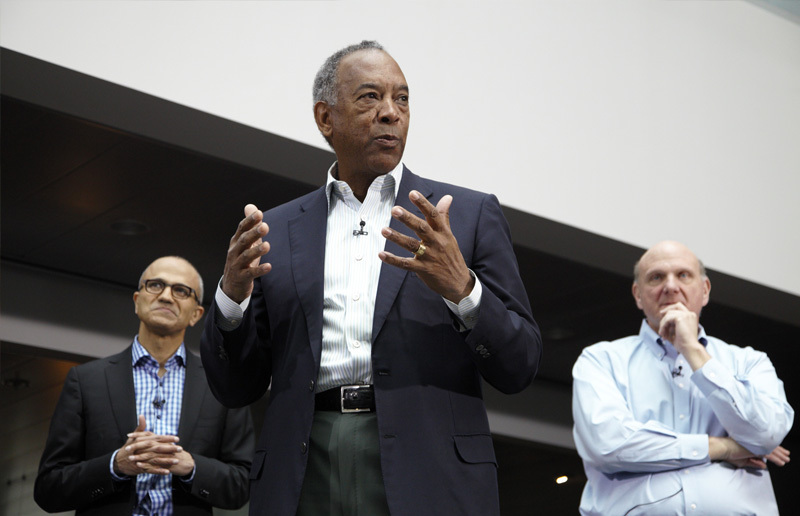 John Thompson, lead independent director for the Board of Directors, will assume the role of Chairman of the Board of Directors and remain an independent director on the Board. From left: Bill Gates, Satya Nadella and Steve Ballmer. Microsoft Corp. today announced that its Board of Directors has appointed Satya Nadella as Chief Executive Officer and member of the Board of Directors effective immediately. 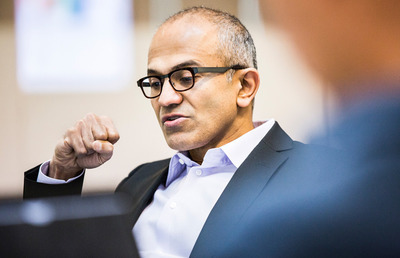 Nadella previously held the position of Executive Vice President of Microsoft’s Cloud and Enterprise group. 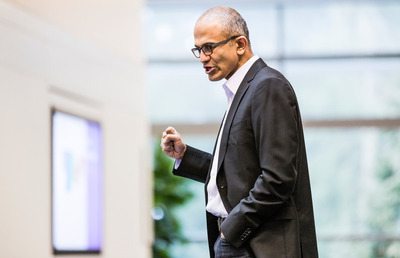 During his tenure overseeing Microsoft’s Server and Tools Business, the division outperformed the market and took share from competitors. 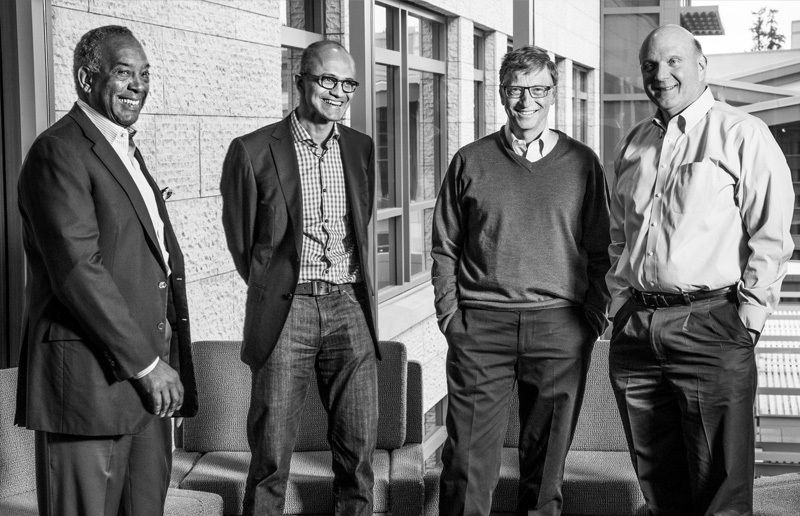 “Microsoft is one of those rare companies to have truly revolutionized the world through technology, and I couldn’t be more honored to have been chosen to lead the company,” Nadella said. 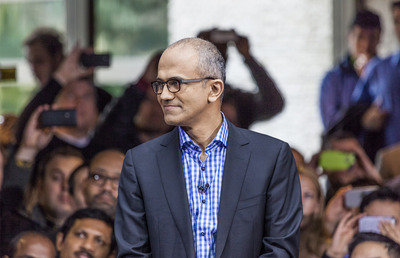 “Having worked with him for more than 20 years, I know that Satya is the right leader at the right time for Microsoft,” said Steve Ballmer, who announced on August 23, 2013 that he would retire once a successor was named. 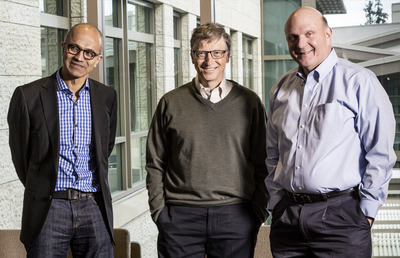 From left: Satya Nadella, Bill Gates and Steve Ballmer. From left: John Thompson, Satya Nadella, Bill Gates and Steve Ballmer. 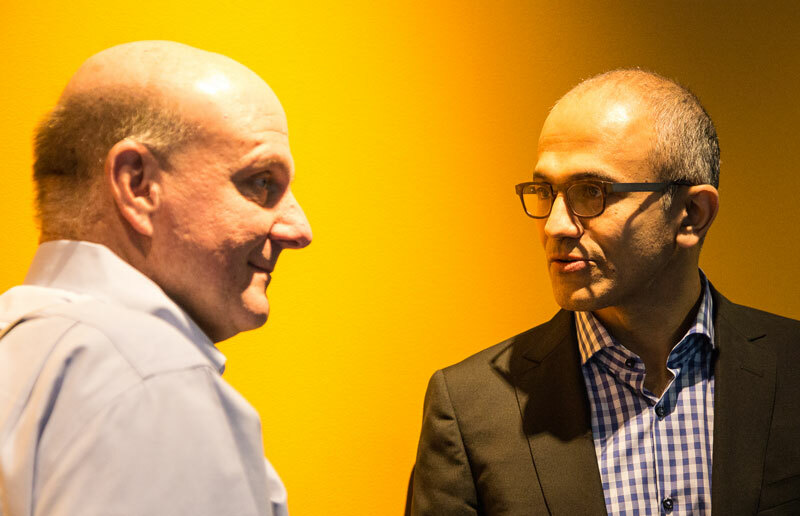 John Thompson, lead independent director for the Board of Directors, will assume the role of Chairman of the Board of Directors and remain an independent director on the Board. “Satya is clearly the best person to lead Microsoft, and he has the unanimous support of our Board,” Thompson said. • John Thompson, Chief Executive Officer of Virtual Instruments. 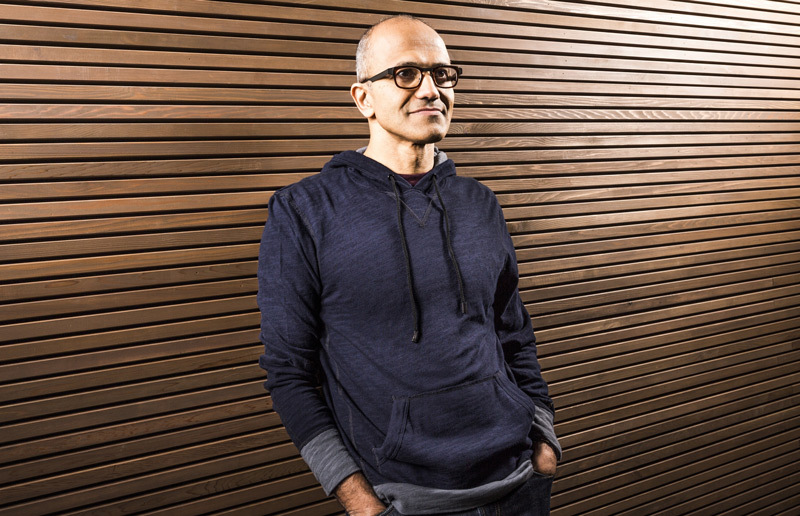 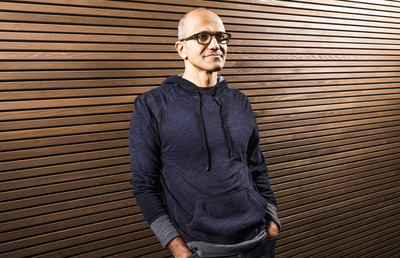 Today is an incredibly exciting day as we announce Satya Nadella as the new CEO of Microsoft. Satya will be a great CEO, and I am pumped for the future of Microsoft. 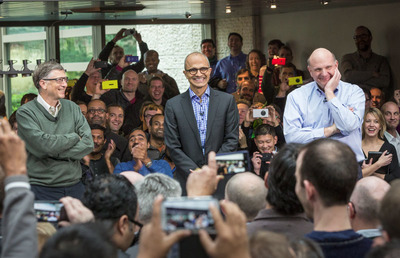 You can read the full announcement here [http://www.microsoft.com/ceo].